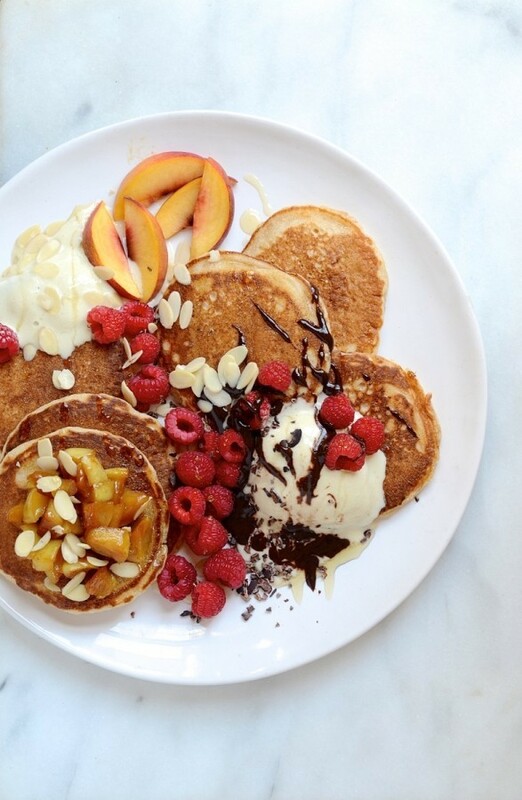 NutriDay wants to help South Africa celebrate breakfast, everyday! 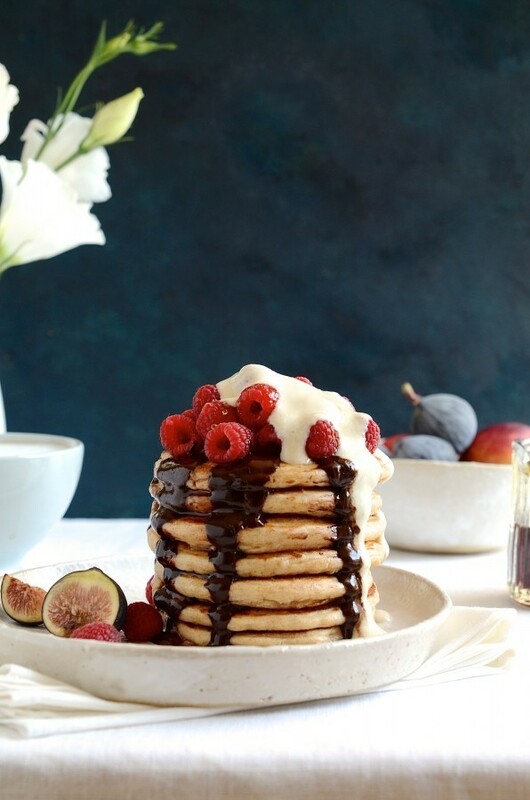 And since breakfast is my favorite meal of the day, I’ve used their creamy yoghurt to make the best healthy wholemeal pancakes that are so worth getting up for. My fridge is always stocked with yoghurts, plain and fruited. It’s convenient, smart snack food for my girls’ lunch boxes and a lovely addition to our daily smoothies, muffins and bakes. Stirred into warming curries or served alongside spicy tagines, double thick yoghurt is my kitchen staple. In fact, it’s hard to find a reason not to eat yoghurt everyday. 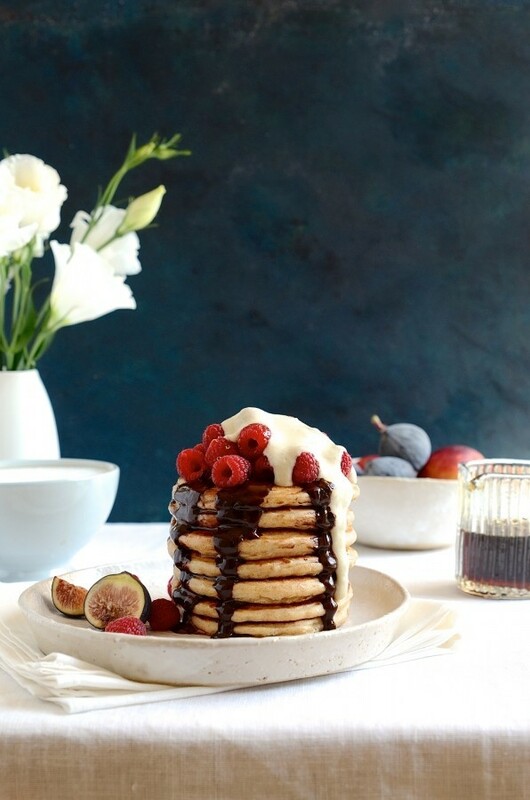 Whether it’s a laidback Sunday morning brunch or speedy midweek breakfasts, these fluffy pancake stacks are the ultimate breakfast treat made with wholesome ingredients. 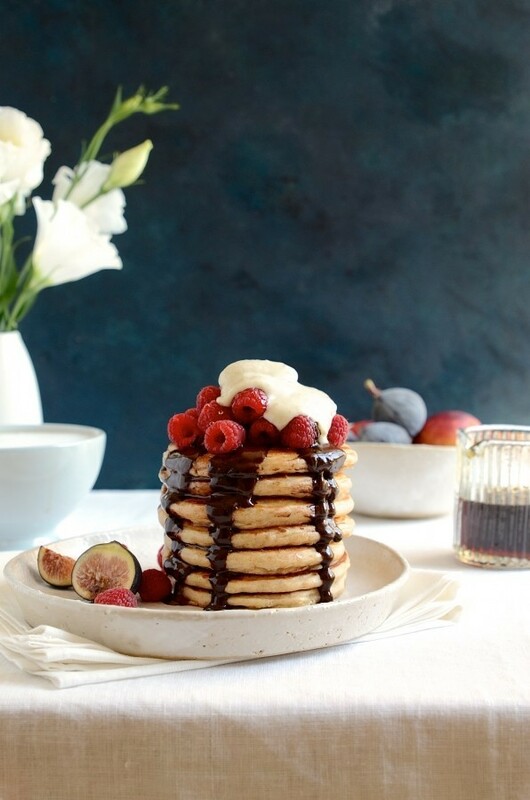 Topped with ice cream whip and heaps of fresh seasonal fruit, these pancakes are proof that healthy and delicious food is doable – Monday to Sunday. 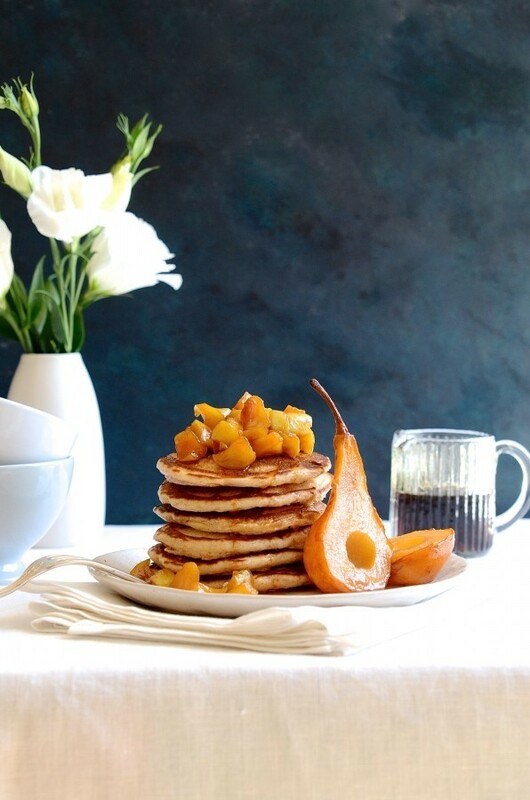 When you’re done whipping up a batch of these fluffy pancakes, be sure to head on over to Nutriday for more healthy recipe ideas. Health food studies show that probiotics aid digestion and promote good gut health. Another interesting fact – the gut is now regarded as the body’s second brain, so looking after this ‘clever’ organ is vital. Live cultures and Vitamins A, B, D and E found in NutriDay yoghurts help to keep you healthy and happy from the inside. For the pancake mix I’ve combined wholemeal flour with almond meal for a great nutty taste. To get ahead of the usual morning rush, most of the prep for this recipe can be done the night before. Simply mix the batter and chill overnight, ready to cook the next morning. Handy tip: Make a double batch of pancakes and freeze in zip lock bags. Pop into the toaster to reheat and crisp up. Real good, fast food. In a large bowl, sift together the wholemeal flour, self-raising flour, almond meal, baking powder and salt. In a jug, whisk together the coconut oil, egg, honey, vanilla, buttermilk, yoghurt and milk. Add the wet ingredients to the sifted flour and mix to combine. Heat a non-stick pan until hot, add a knob of butter and ladle ¼ cup batter per pancake into the pan. Cook until tiny bubbles form on the top, turn over and cook until golden. For the fruited nice cream whip, place all the ingredients in a blender and blitz until smooth and creamy. 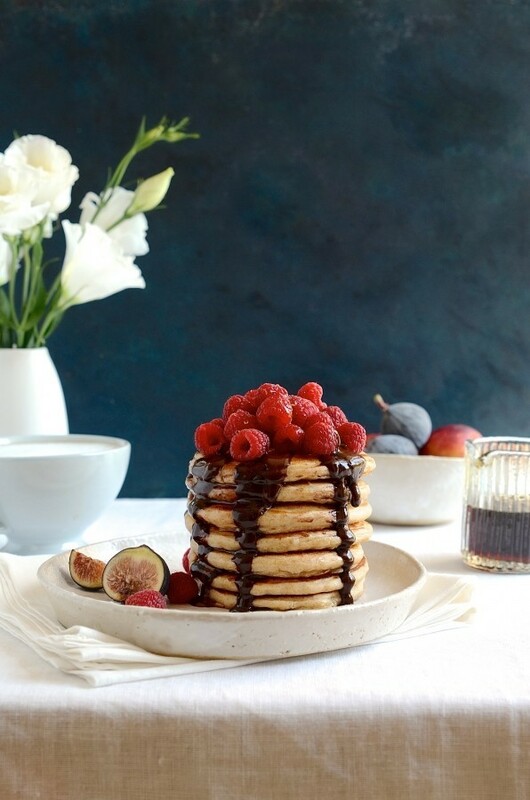 To serve, stack the warm pancakes in a bowl, spoon over the nice cream fruit whip, top with berries or caramelized fruit, drizzle with honey and a spoonful of chocolate nut butter.